I enjoy this book better than the first one...I liked that there was more of an emotional response between Taberah and Jacob. 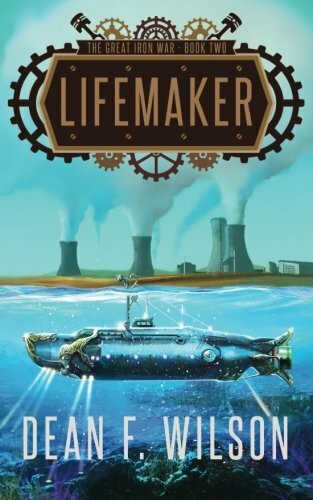 I also loved the struggles they faced as the submarine sank to the bottom of the ocean...the sea monster was a exciting addition to the story and had me thinking our Hero would sink to the bottom of the ocean and die even though I knew that wasn't going to happen...because really that never happens. It was also interesting that the lifemaker was filled with Pure women who were pregnant...I was a little bored by all the talk of repairing the Lifemaker after the attack and sabotage. But I did find the revelation that Whistler was a half demon interesting and I feel it explains a bit why Taberah wasn't much of a mother to the poor kid...it was another touching scene between Jacob and the boy that gives me hope for Taberah's new child.